Even though that delicate orange colored fruit you love is small in its size, it packs quite the nutritional punch! So much so, that it's definitely worth writing about. The apricot (which means "early matured fruit" in Latin), was discovered in China, and I'm sure when it was found it became quite the popular snack due to its abundance, fragrance, taste, and nutritional value. The apricot trees grow up to 15 feet tall, and they'll actually produce fruit for an average of 25 years! That's a lot of apricots. 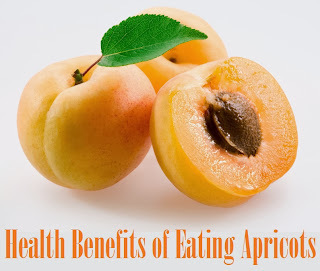 The main powerhouse nutrients and vitamins in apricots are vitamin A, vitamin C, potassium, iron, phosphorus, calcium, and perhaps best of all (and a great asset to colon health), fiber. Not to mention they're one of the healthier fruits you can eat calorie and fat wise. Keep in mind; we're talking about fresh apricots in the above information. Most people associate apricots with the dried version, and while those are still great and contain a lot of fiber, they're also high in calories due to the sugar content, and they may contain a preservative that has the possibility of instigating asthma attacks. Never-the-less, dried apricots are still a great snack alternative to candies and cakes, and they still contain good amounts of iron and potassium. When ingested, beta-carotene converts to vitamin A, which is a key vitamin that keeps your gums, hair, and skin healthy (not to mention a host of other glands and organs). Vitamin A helps in fighting disease due to it's immune system boosting power, and much research has been done on apricots to harness the vast amounts of beta-carotene (vitamin A), so that it can be used for healing. Not only does an apricot contain a healthy amount of fiber, which is key for good colon health (helps to clean out the "gunk" that builds up over time), it's also on the starting lineup for fighting heart disease. Apricots contain a couple other powerful substances which you may know as Vitamin C, and also Lycopene. When you combine the above two, the resulting compound is an excellent way to protect yourself from heart disease, stroke, and even many forms of cancer. Just remember the next time your in the produce isle, don't pass these babies up. Pick up a few for good health. Avoid the green ones (which will never ripen), and make sure you refrigerate them when you get home to keep them fresh. They're a great after school snack that will help keep everyone healthy!